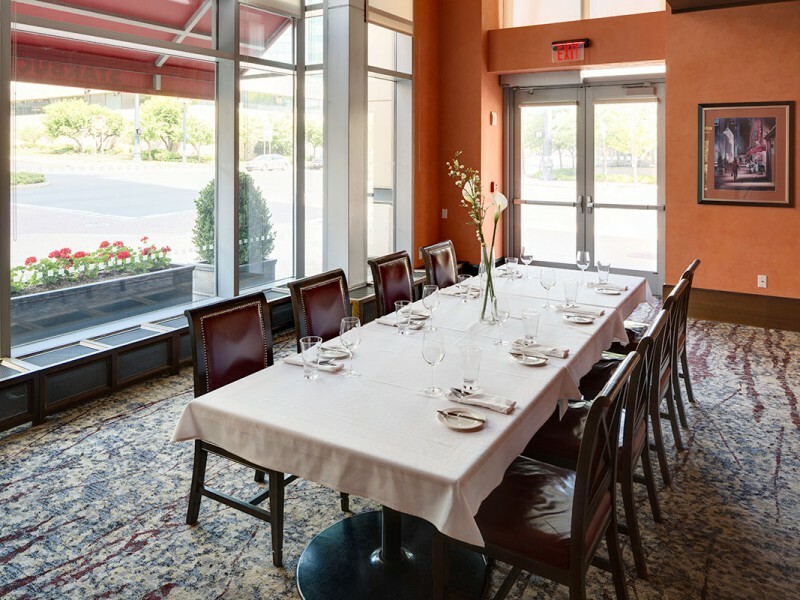 Whether it is a rehearsal dinner, brunch, small business meeting or celebration, Vivo’s private dining room is the ideal venue. 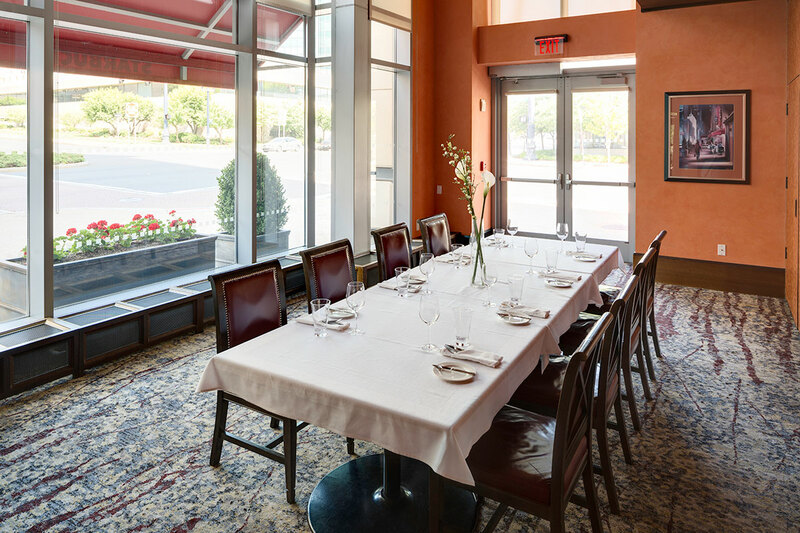 Our beautifully decorated private dining room sits adjacent to our award-winning Vivo Seasonal Trattoria. Your event will be serviced by our highly trained staff and your guests will be impressed with the selections prepared by our award-winning kitchen. 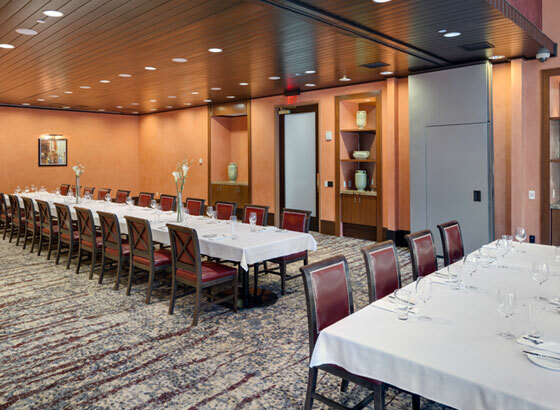 The Private Dining room can be combined to seat up to 56 guests for a dinner or hold up to 38 for meetings with audio-visual. 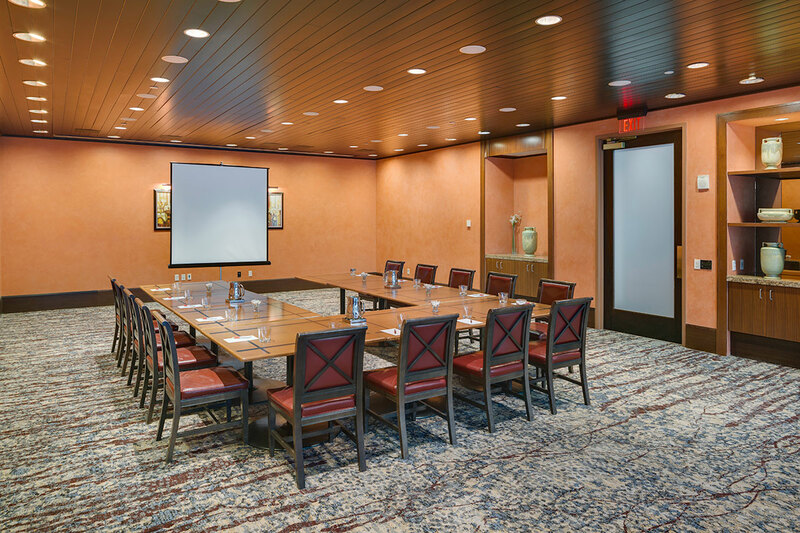 The room can be divided further to accommodate 15 guests or 10 with audiovisual, for smaller meetings. 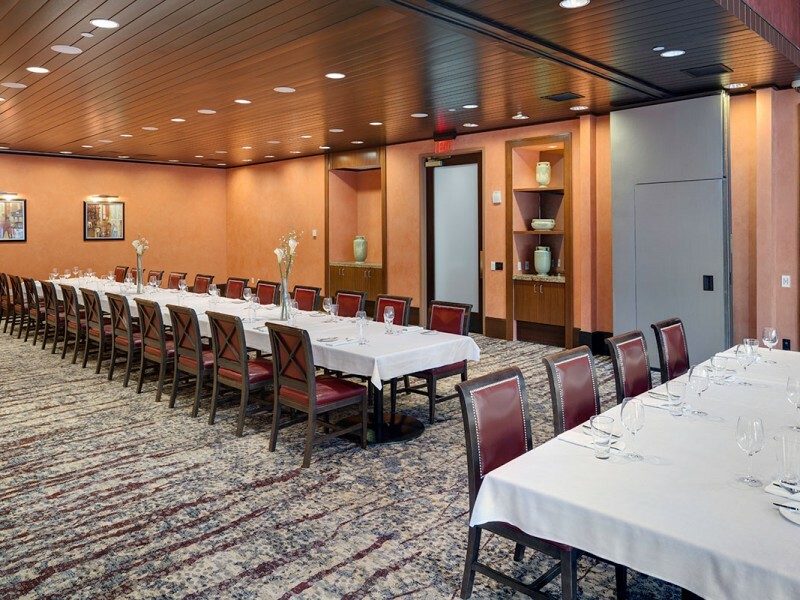 For more information on how to secure these rooms for your function, as well as menu options and pricing, please call Vivo at (860) 760-2340. Vivo is the winner of the 2012 American Culinary Foundation’s Achievement of Excellence Award. This coveted award was given to only eleven restaurants nationwide. Vivo is also a Zagat rated and Wine Spectator rated restaurant. Private event space with world-class service and fare. Intimate event space for private parties, gatherings and events. Flexible space with exceptional service and amazing catered food. Vivo‘s private dining room may be divided into 2 rooms or used as one larger space. The small private dining room seats a maximum of 15. If a screen is required, the room maximum capacity is reduced to 10 people. 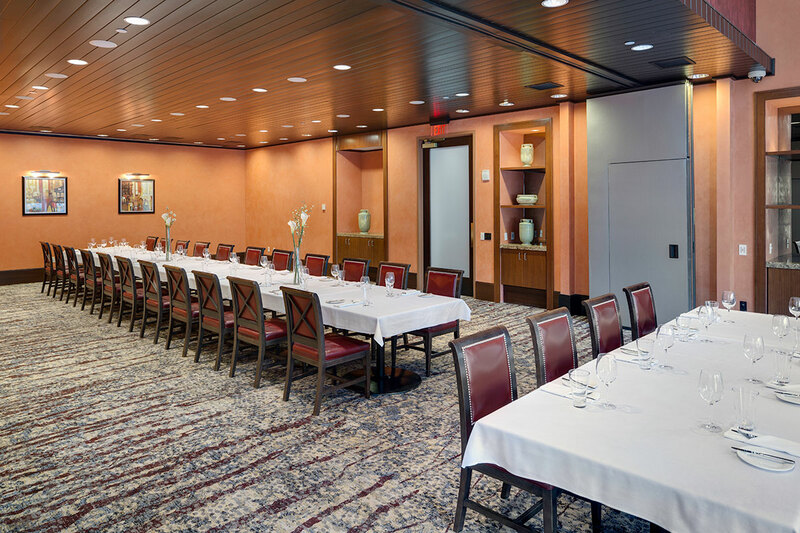 The large private dining room seats a maximum of 36. If a screen is required, a u-shape set up is necessary reducing capacity to 26. Our full private dining space seats a maximum of 60. If a screen is required, a u-shape set up is necessary which reduces the capacity to 38 people. Room minimums include food and beverage charges only. It does not include any audio visual charges (separate charges from PSAV), sales tax (6.35%) or gratuity (20%). A non-refundable deposit of $200 is due with the signed contract. The remaining balance of the estimated total is payable 72 hours of the event via credit card, certified funds or company check. You have up to 30 days prior to the event to cancel with no penalty. If the event is canceled 10 to 30 days before it is scheduled then there is a cancellation fee equal to 50% of the room minimum. If the event is canceled in less than 10 business days, then a cancellation fee equal to 100% of the room minimum will be charged. All deposits will be applied toward any cancellation fee. Menus and the expected number of people must be determined within 10 business days of the event. The guaranteed number of guests is due 72 hours prior to the date of the event. 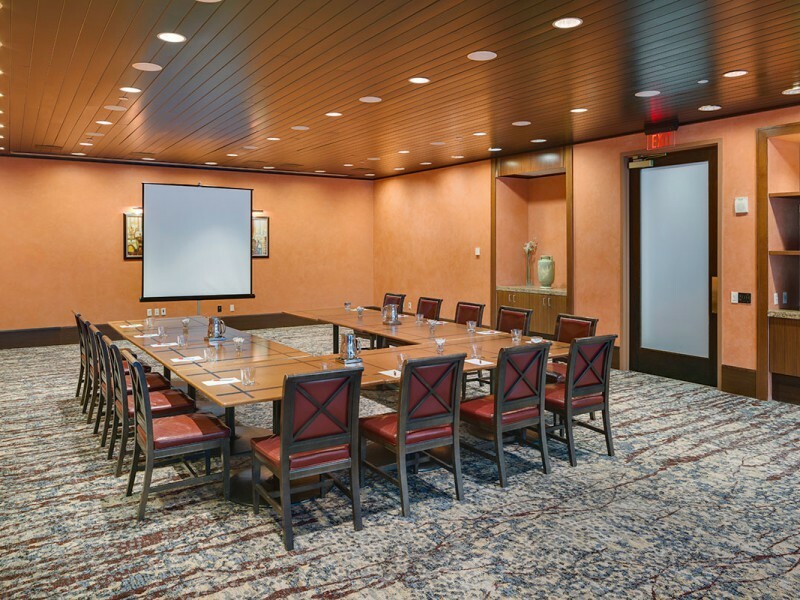 Once we finalize your menu and all other details to include room set up, a/v needs and will prepare a Private Dining Room Event Order, which will serve as a contract for your event. VIVO and the Marriott Hartford Downtown have partnered with PSAV, an audio/visual services company. If your event requires a/v services let us know and we will arrange to have the event space set for your event. For example, if a presenter is bringing in their own LCD projector for a presentation, they will require a screen, extension cords, power cords, and a table. The cost for this projector support package is $110.00. The billing will be contained on your master bill for your event. If you have more substantial a/v needs will require working with PSAV directly. Simply let us know this and we will provide contact information ensuring special event is executed exactly as needed. Beverage service is handled by Vivo associates taking all orders inside the private dining room for cocktails, non-alcoholic drinks, and wine. We recommend pre-selecting wines with dinner to ensure availability and expedited service. All beverage service is charged on consumption. The attached parking garage is owned by the State of Connecticut and is operated by Laz Parking. Please contact the Laz Parking Garage office at 860-728-2598 to obtain pre-paid parking tickets. Vivo does not validate parking. Get great perks, offers and information from Vivo delivered right to your inbox. Vivo partners with OpenTable restaurant reservation services.